Module "Future Scenarios in Strategy Development"
Module "Legal issues in Offshore Wind Industry"
University of Applied Sciences Bremerhaven, Business Academy South West in Esbjerg and its partner universities offer innovative elective modules in Esbjerg, Bremerhaven and across cities of the North Sea Region with a special focus on offshore wind energy. This new MBA combines the actual needs of the firms across the wind industry with the need for flexibility and new innovative teaching methods form the student perspective. 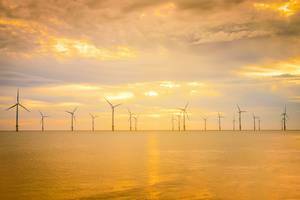 Across the cities along the coasts of the North Sea energy and wind power is an integral part of life and businesses. This MBA caters for the specific needs of these industries by combining new research with the business challenges of the industry. All course modules are conducted in English and professors with international experience as well as guest teachers with industry as well as leadership experience teach the programmes. The unique partnership between Denmark, Belgium, Germany, the UK and the Netherlands creates an academic as well as a business environment of high standards.